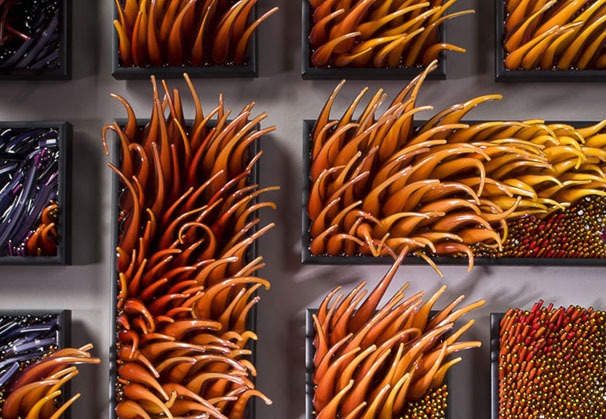 Shayna Leib fell in love with glassblowing at age 7. 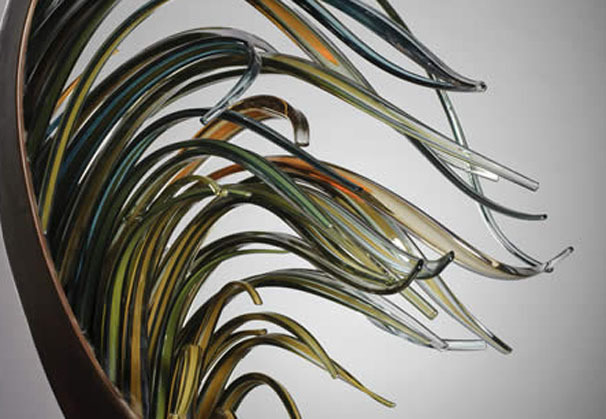 She studied glass both as an undergraduate and graduate college student. 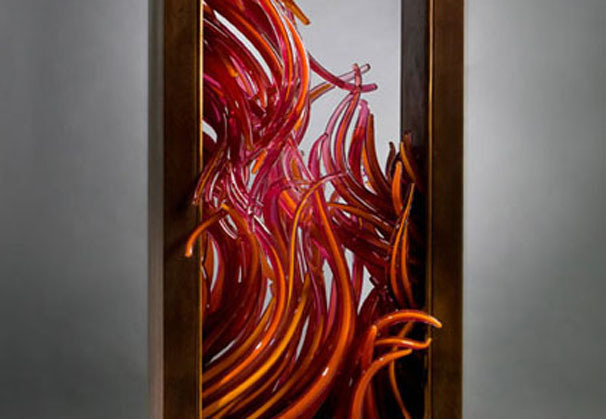 She uses glass in her sculptures for its unique properties: its inclination to flow, the capacity to freeze a moment in time, and its ability to manipulate optics. 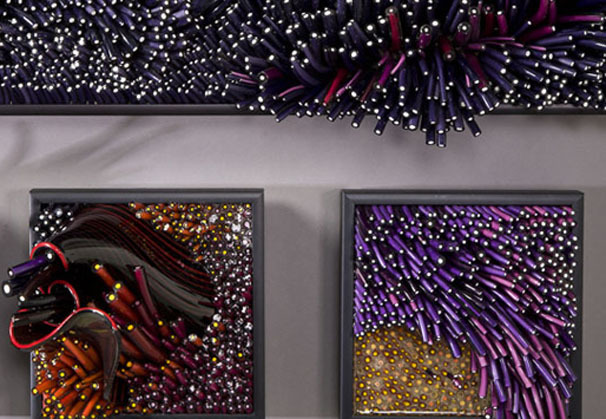 Shayna Leib is represented by Habatat Galleries, West Palm Beach, Florida. 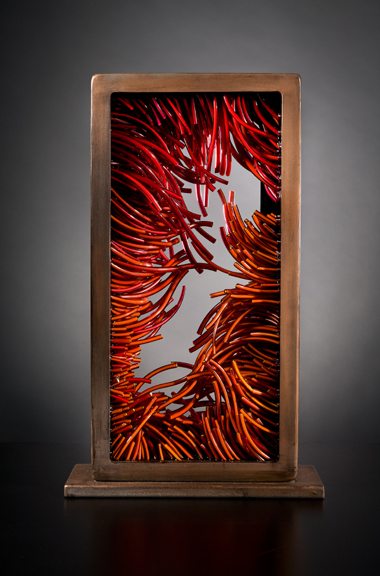 Crevice, 2011, 6' x 18" x 6"
Malvinas, 2008, 42" x 12" x 6"
"Two of the most powerful elements on our planet are nearly indiscernible to the human eye, yet we are innately aware of their presence, their capacity to soothe and destroy, and their ability to weave patterns where they touch. Wind and water possess no intrinsic color, are clear to the point of invisibility, and yet move through space. We see not their form itself, but can detect their patterns and shapes only vicariously though the objects they affect. The trace of water's touch over moss and sea life, the wind's passage over marshlands, through wheat fields and the fur of a long-haired animal- these two forces make their presence known. Their character is contradictory and fickle, encompassing fragility and violence, placidity and turbulence. They leave their mark upon our world. We have discovered some of their patterns and named them, giving them character and life: Kuroshio, Leeuwin, Sirocco, Charybdis, Boreas, Agulhas, the Nor'easters. 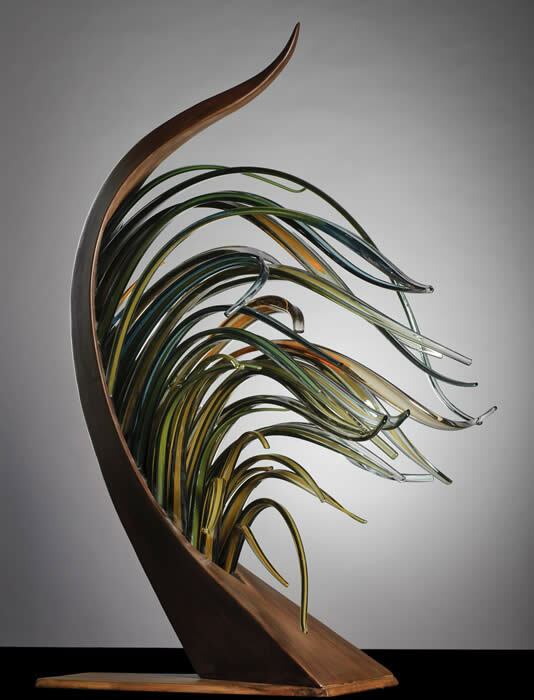 The Wind & Water series was created to explore their influence through sculptural glass landscape." 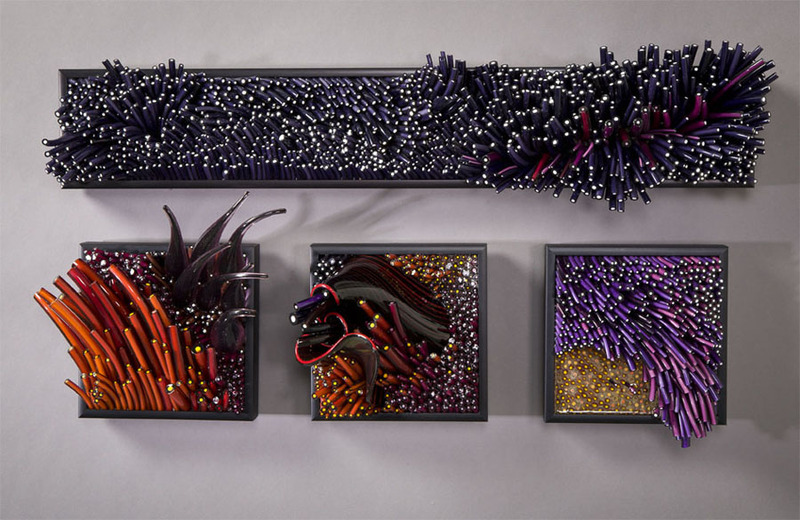 Shayna Leib began her study of glass as an undergraduate at California Polytechnic State University in San Luis Obispo, California, where she earned a bachelor of arts in philosophy and minors in glass and literature. She also studied classical piano while completing her undergraduate degree. 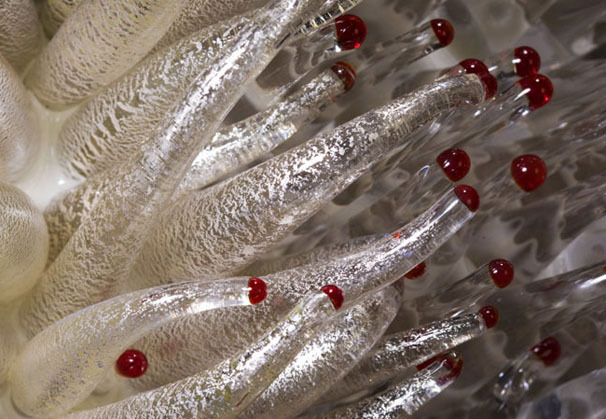 Accepted to pursue a doctorate in philosophy in New York, she chose instead to enter the University of Wisconsin-Madison for graduate studies in glass and metal, where she completed her MFA degree in May of 2003. 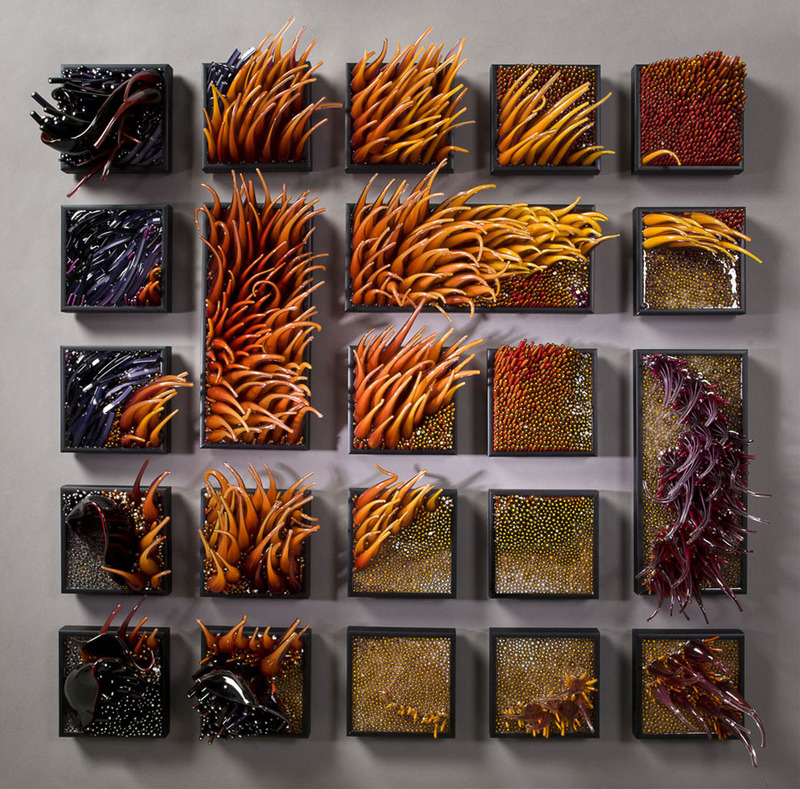 Shayna has also studied glass with Che Rhodes at Penland School of Crafts, North Carolina, and Boyd Sugiki at Haystack Mountain School of Craft in Maine. 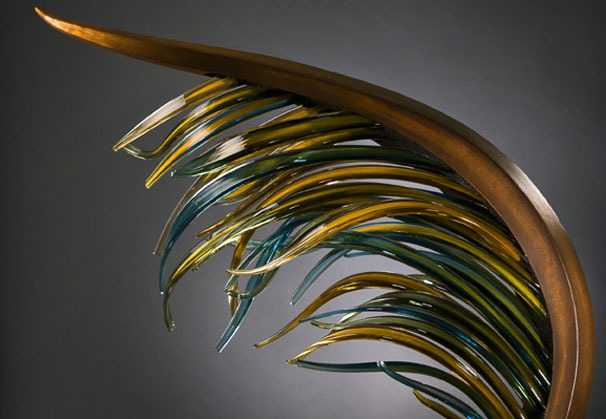 Since 2006, she has worked closely with renowned metalsmith Donald Friedlich, executing the glass part of his designs. Shayna grew up on the Central Coast of California and always felt a pull to the ocean. Four years ago she conquered her fear of the deep blue and became a diver and underwater photographer. She soon developed a passion for deep diving and night diving. The ocean has always been a source of inspiration and mystery to Shayna, and it is a lifelong goal of hers to dive all of the earth’s seas. 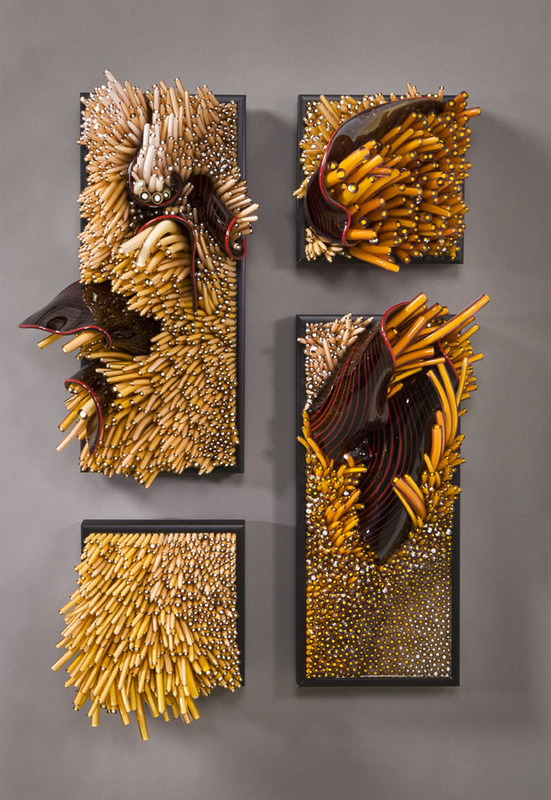 It takes Shayna about a month to make one sculpture. 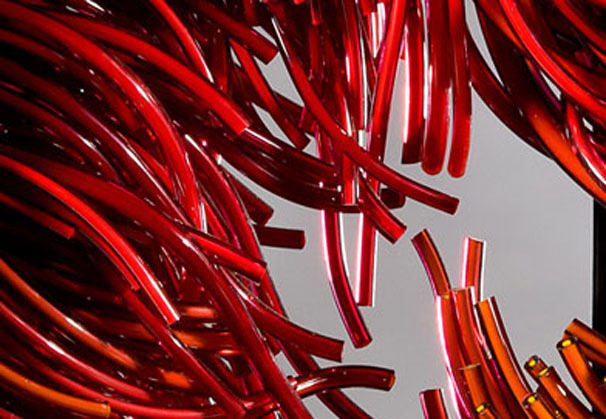 The process starts with pulling long, thin canes of glass at temperatures around 2,400°F, usually about a mile long. 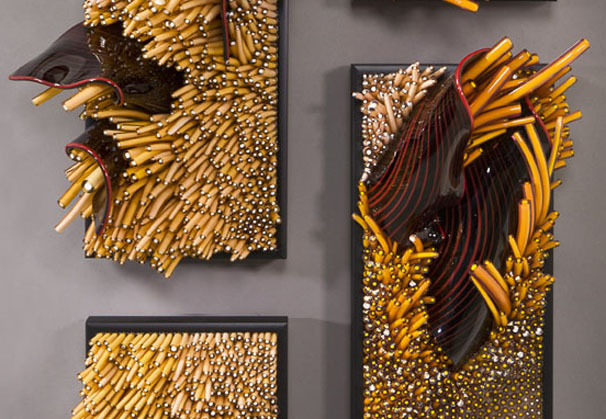 She then cuts the canes into thousands of pieces, sorts them according to size and shape and starts assembling. 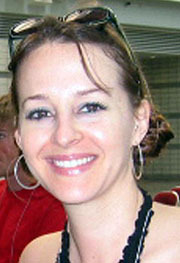 In 2008 she was honored with the American Style Award by Wendy Rosen. 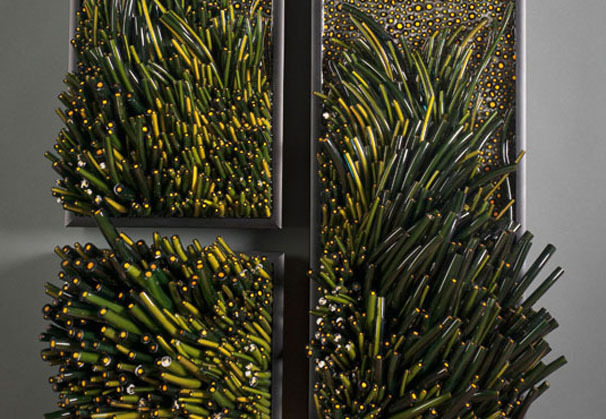 In 2010 she was given the People’s Choice Award for her sculpture Flores at Habatat Galleries, Michigan. 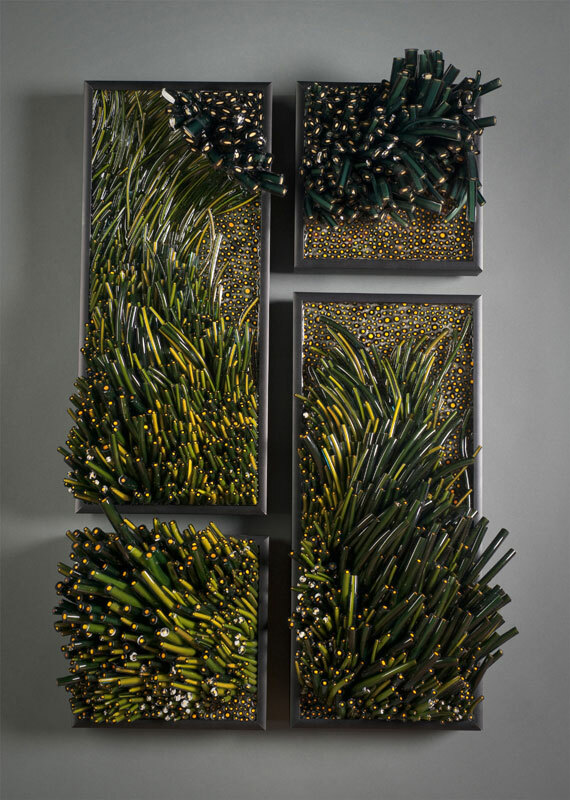 Shayna Leib’s work is in numerous private collections nationally and has been featured in SOFA publications, worldwide blogs, Contemporary Lampworking and The Best of American Glass Artists. 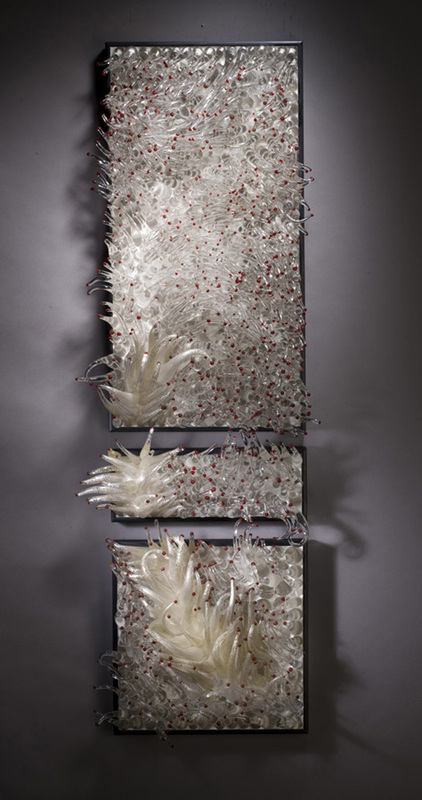 Shayna currently resides in Madison, Wisconsin with two cats, Iggabod and Oliver, whose fur has become a permanent part of her sculptures. 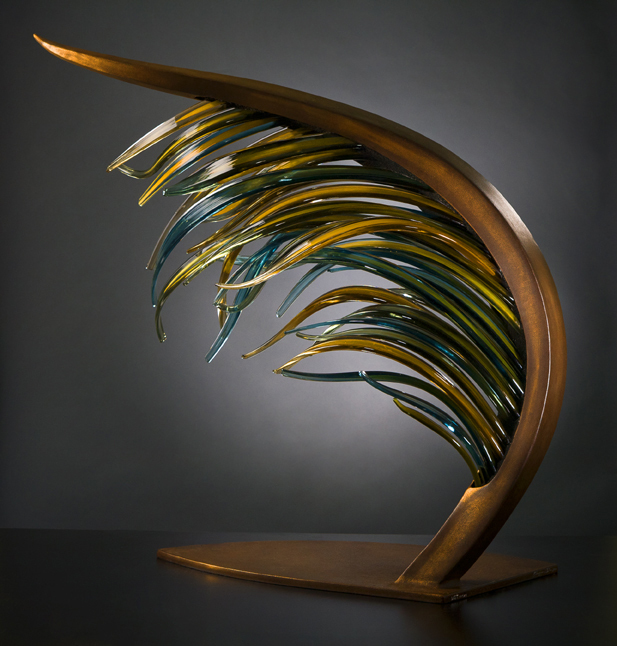 We are grateful to Habatat Galleries of West Palm Beach, Florida, for providing the materials for the Artist of the Month.